Once there were six sisters. The pretty one, the musical one, the clever one, the helpful one, the young one... And then there was the Wild one. 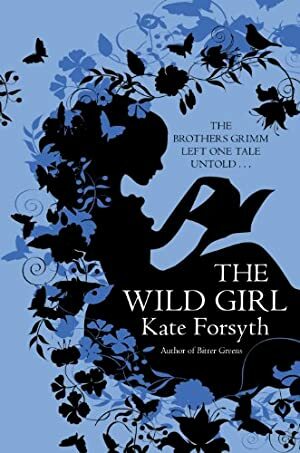 Dortchen Wild has loved Wilhelm Grimm since she was twelve years old. Under the forbidding shadow of her father and the tyranny of Napoléon's army, the pair meet secretly to piece together a magical fairy tale collection. The story behind the stories of the Brothers Grimm. Track It. This book has been £1.78 within the past year. Log In to track Kate Forsyth on eReaderIQ. to be notified each time the price drops on any book by Kate Forsyth. to stop tracking Kate Forsyth. We started tracking this book on June 20, 2013. This book was £7.71 when we started tracking it. The price of this book has changed 68 times in the past 2,130 days. The current price of this book is £4.68 last checked 5 hours ago. This lowest price this book has been offered at in the past year is £1.78. The lowest price to date was £0.99 last reached on August 12, 2016. The highest price to date was £7.71 last reached on June 20, 2013. This book has been £7.71 one time since we started tracking it. We last verified the price of this book about 5 hours ago. At that time, the price was £4.68. This price is subject to change. The price displayed on the Amazon.co.uk website at the time of purchase is the price you will pay for this book. Please confirm the price before making any purchases.